2009 may have come and gone, but the drama from that year's MTV Video Music Awards still remains fresh in the minds of the stars involved. After West famously interrupted Swift's acceptance speech by announcing that Beyonce's song "Single Ladies" was "one of the best videos of all time," there was a reasonable amount of bad blood between the two of them. However, after they both made amends at the 2015 Grammys, the drama only intensified when Kanye included Swift's name in his latest song, "Famous." And now, in a clip from E! 's Keeping Up With The Kardashians, Kanye's wife, Kim Kardashian, is speaking out on the drama between Kanye and Swift. Kanye, you know, definitely hurt her years ago when he did that, but like it wasn't meant to be personal. It could have been anyone. We all know ‘Single Ladies' was the biggest song of the year. So when she [Beyonce] didn't win he just wanted to stand up for it. Meanwhile, that's just the cusp of the drama. As Kim was even sure to point out just how she feels about both Swift and the public's view on Kanye today. "[It's] just another way to play the victim. It definitely got her a lot of attention the first time," continued Kim. "I just don't think he should be punished for it still to this day. I feel like I've had it with people blatantly treating my husband a certain way, making him look a certain way." So, where does the drama go from here? 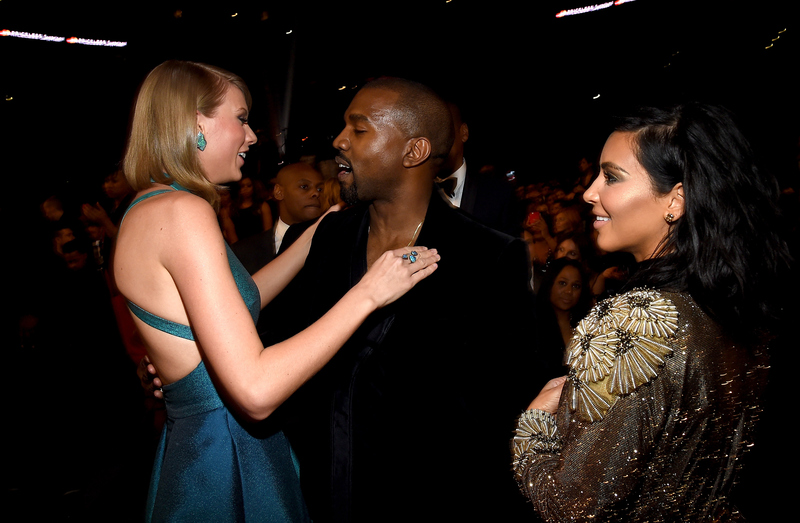 Personally, I don't see Kim making amends with Swift anytime soon. As for whether or not the pop star will respond, we'll just have to wait and see. Apparently, in Kim's eyes, the victim in this feud is most certainly her husband, and she is standing by him.